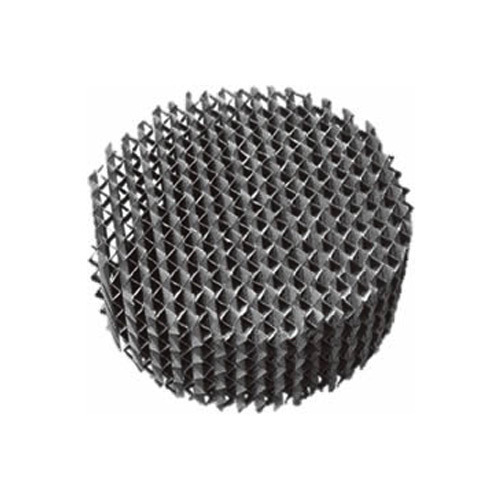 We offer a wide variety of Industrial Structured Grid Packing from FINEPAC ® that are used in fouling, erosion, cooking and high solids content. This is installed in a rigid module stacked in successive layers that are removable and replaceable. These are exclusively designed to minimise the overall pressure drop and at the same time increase the capacity of the tower. Different types of steel and alloy material are used for the construction of the modules.